You’ve decided on a modern, yet old-world theme for your master bathroom. You want simplicity when you relax in the lavender suds in your jacuzzi-style tub. No harsh patterns or overpowering colors. You want to be transported to a simpler time where work and emails and bills aren’t always in the back of your mind. 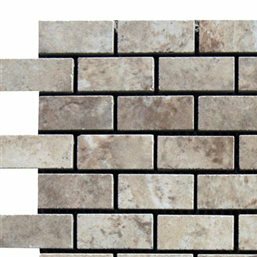 With the simple white color of your tub and the basic metallic silver accents, you want tone-on-tone variation of beige tiles with some bold movement, but that still possess a calming quality. You find Navona Terra porcelain tiles and are quite surprised how perfectly they match your vision. You have the old-world ambiance from the colors mimicking that of old Tuscan manors, the two-toned beige creating bold movements, while still possessing airy and relaxing qualities. You decide to break your tub in early to celebrate finding the perfect finishing touch to your bathroom. Navona Terra porcelain tiles are ideal for areas with high traffic because they are quite durable and have a high breaking strength. With a high density, they have a lower absorption to water, making them less likely to stain from a spilled beverage, or water. 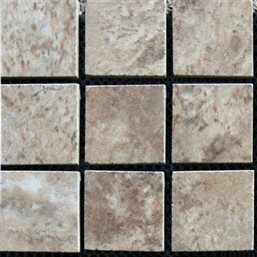 Depending on whether you purchase polished or natural porcelain tiles, a sealant may not be necessary. 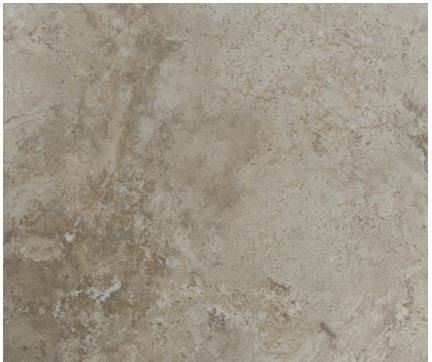 If polished, a sealant will help preserve the pristine nature of Navona Terra porcelain tiles. Without sealing, Navona Terra porcelain tiles they may eventually fade with long term exposure in the sun. Ideal for interior or exterior installations, Navona Terra porcelain tile is the optimum choice for you because it is frost-resistant. 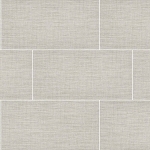 Add Navona Terra porcelain tiles to commercial and residential settings, such as the flooring in the waiting room, living room, bathroom or out on the patio.